Starting June 1, Flexport will open the doors to a new office in Atlanta, Georgia, our fourth in the United States and seventh worldwide. Atlanta is an awesome city for Flexport for a bunch of reasons. For one, the city is getting a lot of recognition as a booming technology center. In fact, Flexport already shares investors with some very cool Atlanta-based companies like Pindrop, Luma, and Ionic Security. We’re looking forward to being their neighbors in Midtown, connecting with like-minded innovators, and contributing to the city’s tech ecosystem. One of the most attractive things about Atlanta is the abundance of local talent. We will launch active on-campus recruiting efforts at all major schools in the area, especially those with supply chain programs. We can’t wait to meet Georgia’s top candidates from superb schools like Emory University, Georgia Tech, and U of Georgia. Our goal? Hire 250 stellar team members in the next three years in departments like Sales, Operations, Customs Brokerage, and Small Business Development. Atlanta is a major logistics hub not just for the region, but for the entire country. Half of Flexport’s revenue comes from air freight, so building operations in the city with the world’s busiest airport has its obvious advantages. We already have Neel Jones Shah, Delta’s former Chief Cargo Officer, on our team, and we want to hire more great talent from the air freight industry in Georgia. 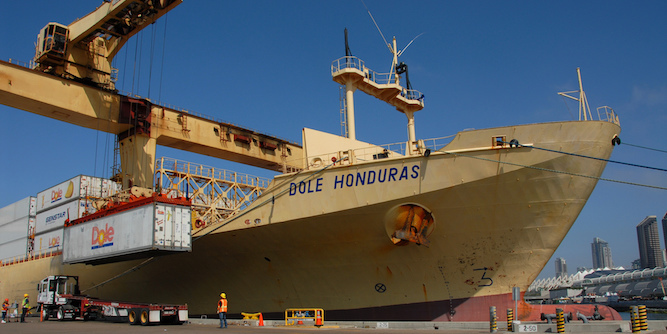 We’re also excited to be near the port of Savannah, where they’ve been making huge investments to handle the bigger ships coming through the newly widened Panama Canal. Not to mention it’s the most efficient seaport operation in North America due to its large single-terminal design. We already move hundreds of tons of freight through Georgia’s ports every year, so establishing a local presence will make the process of organizing customs clearance and local trucking cheaper and better for our customers. And, through Georgia’s six interstates, we will be connected to 80 percent of the U.S. population within a two-day truck drive. As CEO of a global company, one of my favorite parts of the job is getting to visit our offices around the world to hang out with our teams and meet our clients. We’re sending some of our best folks over from San Francisco to help seed the office, and I know we’ll be successful finding more great people to join us on this journey. I look forward to enjoying mountains of chicken and grits with these folks every time I come to town. Interested in joining us? Give our Global VP of Recruiting a holler: Kristen Hayward at Kristen.Hayward@flexport.com and check out Flexport.com/Careers. A big thanks to our friends at Invest Atlanta and Georgia’s Department of Economic Development for their ongoing support! For more information on how they helped us put down roots in ATL, click here.